Are You Ready for Great British Beef Week? Are you ready to cook up some incredible beef recipes? Great British Beef Week is 1-7 April and there’s lots you can do to make the most of this incredible week. Firstly, we recommend heading to your local supplier of Hereford Beef to pick up some of your favourite cuts. You will need them as social media is about to be flooded with incredible new recipes to try out at home. Not a fan of the kitchen? There are many incredible restaurants up and down the country that have Hereford beef on the menu. Great British Beef Week is a great time to reflect on the many positive health benefits that come with eating quality British beef such as Hereford beef. 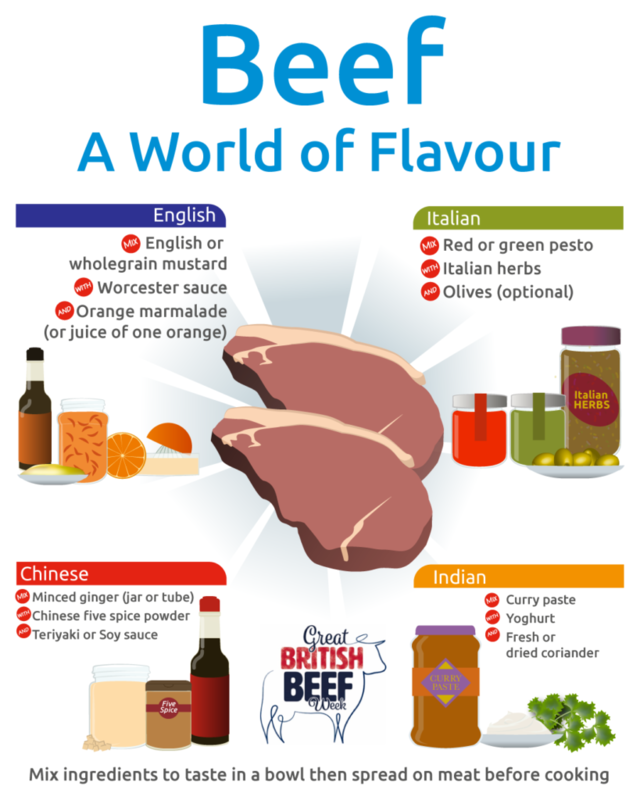 Beef is an important part of the global diet and there are so many tasty recipes that come from all over the world that benefit from the addition of Great British Beef. Some of the most loved beef recipes are international, such as the classic beef Bolognese, lasagne, goulash and beef bourguignon, beef Madras or Massaman to name just a few. Beef production plays an important role in taking care of the environment here in the UK. Almost half of UK British farmed beef are managed on marshland, mountains, moorlands and in meadows. Hereford beef are one of the cattle breeds that enjoy a full and relaxed life grazing in the countryside. If grazing cattle and sheep were stopped over half of the land used in agriculture would be removed as it’s not suitable for growing vegetables or other crops. Hereford beef has a nutritional value that is essential for a healthy balanced diet. Beef is rich in protein and is an excellent source of haem iron along with 8 other vitamins and minerals. Furthermore, Hereford beef is a natural source of omega 6 and 3 fats. As a result, beef is a wonderful food that benefits health and wellbeing. Look out for #GBBW posts and news on social media and use the hashtag in your own posts about #Herefordbeef and your favourite beef recipes. What Are the 8 Primal Cuts of Beef?